"1445 N State requires owners to live in the unit for 2 years before they are able to rent so is not initially investor friendly. Nice location on a pretty stretch of State Parkway close to Lincoln Park just to the north." 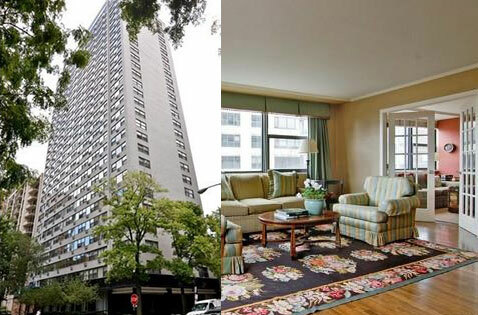 1445 N State is a residential high-rise condominium in Chicago's Gold Coast neighborhood. This immaculately maintained building sits on a quiet tree-lined street just blocks from the lakefront and beach. It is also moments from downtown Chicago, the fashionable shops on Michigan Avenue and the quaint cafes of Old Town. Residents of 1445 North State are able to appreciate peaceful city living without sacrificing the convenience of being close to everything. Building amenities include a rooftop deck with grills and stunning city views, a 24 hour doorman and a fitness center. Residences of 1445 North State are bright, spacious and filled with style and character. Many of the units have been updated over the years to include modern finishes and many feature stunning views of the city skyline and upper units have views of the lake. 1445 N State is pet friendly and allows both cats and dogs. Deeded parking is available in the attached parking garage.